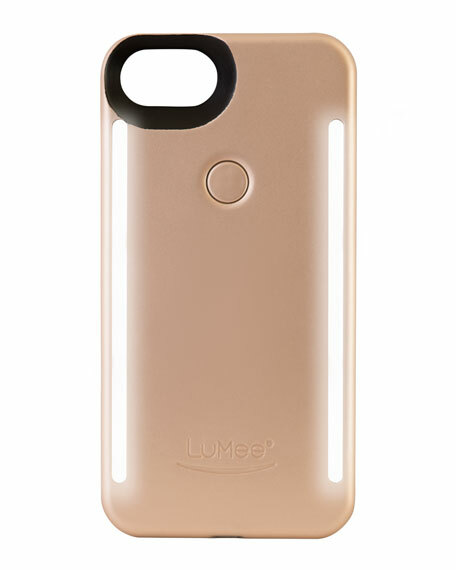 Developed by a professional photographer, LuMee Duo is an iPhone® case with studio-quality front and back facing lights. Its warm, natural light gives you freedom of perspective  you can capture what you want, how you want it. Its sleek, drop-resistant construction was designed with creativity in mind. 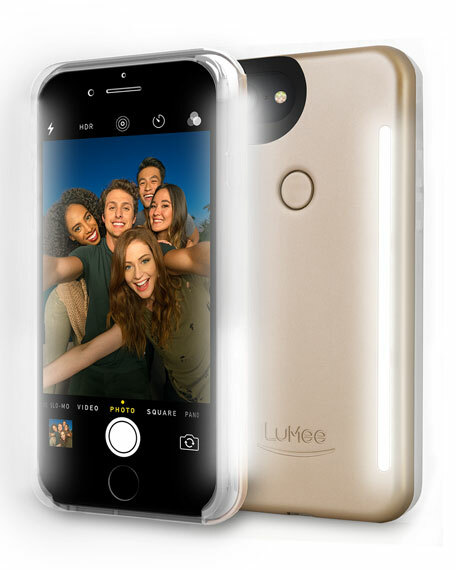 Whether you're a photographer, cinematographer or enthusiast, the LuMee Duo gives you light to capture any moment from both sides of the lens. Front-facing or back-facing, dawn or dusk, dim or dark, if it's there, you can capture it. Two lenses. Two lights. Your Duo perspective. Transform your phone into a mobile photo studio so you can take amazing photos and videos. Lumee's innovative technology is simple and user-friendly, providing the right lighting to give you fabulous results. Christian Louboutin credit card holder in pebbled calf leather, outlined in signature red. Top slip pocket; four card slots. Metal logo lettering at front. Signature red-sole stud at back. 3.1"H x 3.9"W x 0.2"D. Made in Italy. This travel case, designed to shelter our 0.37 fl. oz. refills, is made in a fine calf leather handcrafted by a luxury leather Atelier based in Spain. Unleash your desires and choose among three gourmand colors: Cranberry red, Candy pink and Blueberry blue.